The Abbey Hotel Bath is something of a bargain. 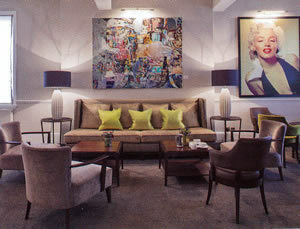 It is very well located – about as close to both the Abbey and the Pump Room as it is possible for an hotel to be – and has been thoroughly renovated by its new owners, Ian and Christa Taylor, in a manner which is modern, stylish and comfortable. Mr and Mrs Taylor used to run country house hotels in the Cotswolds, so they know very well how important comfort is for the discerning guest. 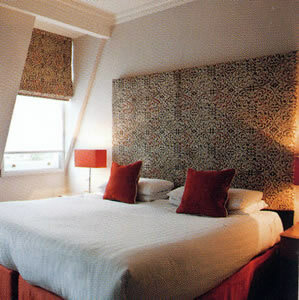 Double rooms with breakfast start at just £99. I remember this handsome Georgian building years ago, when it began to fall on hard times. It is really heartening to see it now – restored, cruising along with great efficiency and justifiably popular with visitors to this most beautiful of cities. I liked particularly the young, bright and well-motivated staff. Everyone I encountered here was both friendly and keen to help. When I arrived I had walked from the railway station – which is most unlike me, but even I could manage so short a distance in the sunshine. My first impression upon entering was that everything was pristine. My second impression was of the smiling lady on the reception desk, who dealt with my early arrival without a hint of consternation. I was soon in my room on the second floor. The wireless in my room was already tuned to Classic FM, a little courtesy which I appreciated and an indication of the sort of respectable persons the hotel expects as its guests. A decent modern oil painting provided some vibrant colour. The wardrobe and dressing table were in light wood, and in the drawer of the latter were the means by which I was able to make myself a cup of coffee. Two armchairs provided the seating, and the bed – made specially soft for me – provided the promise of a good night’s sleep. The bathroom contained a tub of acceptable size, with a shower over, one wash basin and the loo. 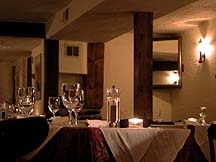 The restaurant is an important part of the hotel. The Allium Brasserie (‘allium’ is the Latin for garlic) is on the ground floor and occupies two rooms to the left of the main entrance. In the kitchen is a chef of considerable talent. 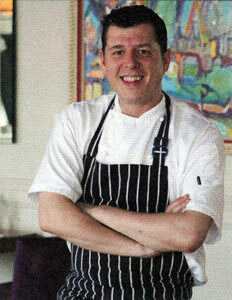 Chris Staines used to be the Head Chef at the now-departed Foliage (in the Mandarin Oriental Hotel in London) when it had a Michelin star. He therefore knows his garlic. 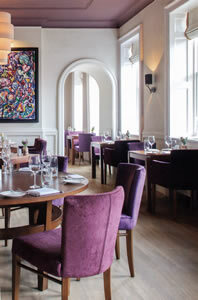 The Brasserie is open for breakfast, lunch, afternoon tea and dinner. Mr Staines is not afraid to embrace complexity in his dishes. I found his food thoroughly enjoyable. In the evening there is canned music, but not of the offensive sort. The tables are wooden, some of them fairly small, without tablecloths, but the napkins are of white damask and the glassware is by Riedel (the Restaurant range). I settled myself at a corner table and felt entirely at ease as the waitresses in aprons went about their business. Mine, Justine, looked after me with pleasing courtesy and efficiency. 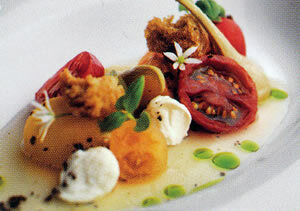 A three-course set meal is offered at £23. I went for four courses from the carte (for which you will need to allow around £50). I began with the subtle tastes and appealing textures of green asparagus, with seaweed butter, a slowly poached egg, salsify, peas, sourdough and white beer purée. Then the tastes became much more robust, with a salad of salt baked beetroot, with goat’s cheese, a hazelnut dressing and grilled gem lettuce. This was a wonderfully colourful dish, as good to look at as it was to eat. My main course brought carefully roasted guinea fowl, with crushed Jerusalem artichokes, hazelnuts, purple sprouting broccoli and truffle sauce. Here, for the first time, my palate judged that there was a bit too much going on, but there was no doubting the excellence of the meat. I ended with a confection about which I had no hesitation – some lovely poached rhubarb with lemon olive oil cake, olive oil jelly, blood orange and pistachio. Delicious. 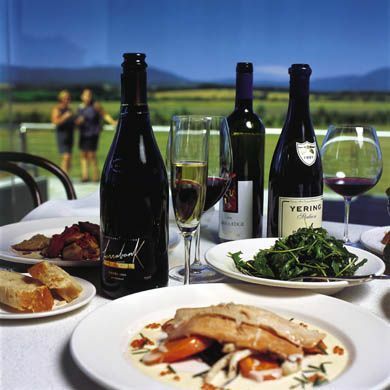 The wine list offers 125 bottles, including a dozen halves, spans the world and gives a description of each wine. It divides its offerings into types – ‘warm and smooth reds’ etc. – a system of which I am not a great fan, but I suppose some guests might find it helpful. Prices run from £18 for a merlot Vin de Pays d’Oc to £250 for the 2005 vintage of Cristal champagne. The following bottles caught my eye: 2012 Riesling, Villa Wolf, Dr Loosen, Mosel (£30), 2012 Cattunar (£38 – a ‘creamy’ chardonnay from Croatia, 2006 Stag’s Leap cabernet, Napa (£60) and 2007 Château Talbot (£100). My own drinking included a decent malbec from Argentina from the ‘full-bodied and spicy’ section (Urban, Mendoza, 2012). I returned to my corner table in the Allium Brasserie for breakfast. From the buffet I secured some excellent croissants and bowls of fruit salad and of Rice Crispies. But the best comestibles were brought from the kitchen: a handsome plate of bacon, sausages, mushrooms, tomatoes and poached eggs, followed by hot toast and truly splendid marmalade. I liked this breakfast. And I liked this hotel. It does what it does very well. It is cheerful and maintains high standards. The Abbey Hotel Bath is a bargain. 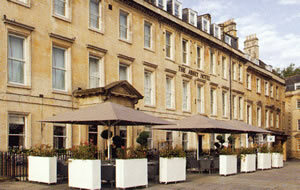 North Parade, Bath, Somerset BA1 1LF, England.